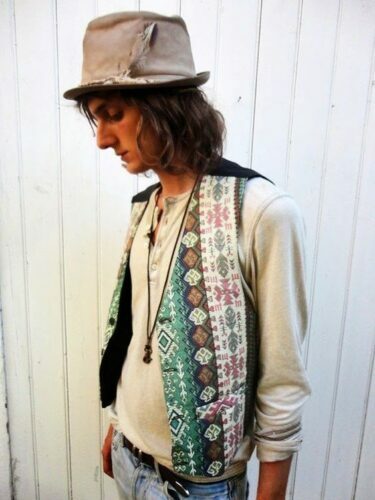 Bohemian style is the mix of old and new pieces of fashion and put them together to create the look. This style is can be easily composed together and will give you a completely different look. Consider to keep styles loose, lightweight and unstructured. Do not aim for a look that’s relaxed and expressive with vintage and artisan details. Consider to always add some pattern and remember that wearing an accessories is a must. 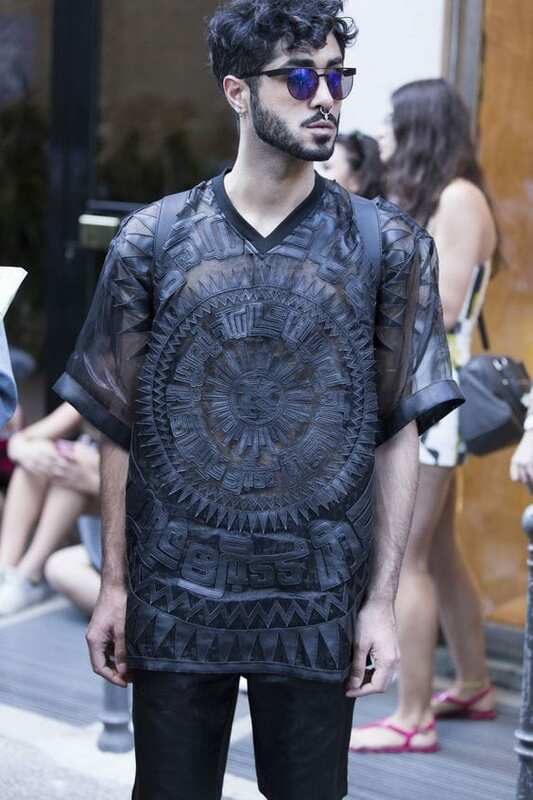 Take a look at these bohemian style for men to copy below. Bohemian winter is easy if you pick the right one. For example, you can wear a light colored sweater with khaki pants. 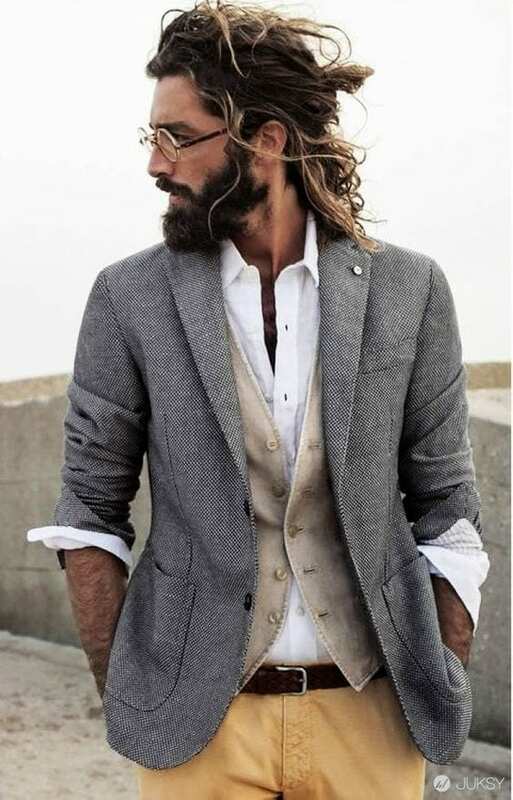 This style is perfect for men with medium toned bodies. Wear khaki pants with a triple layer of shirt, waistcoat and a jacket. Choose a shirt with different color with the waistcoat and a complimenting color of jacket. 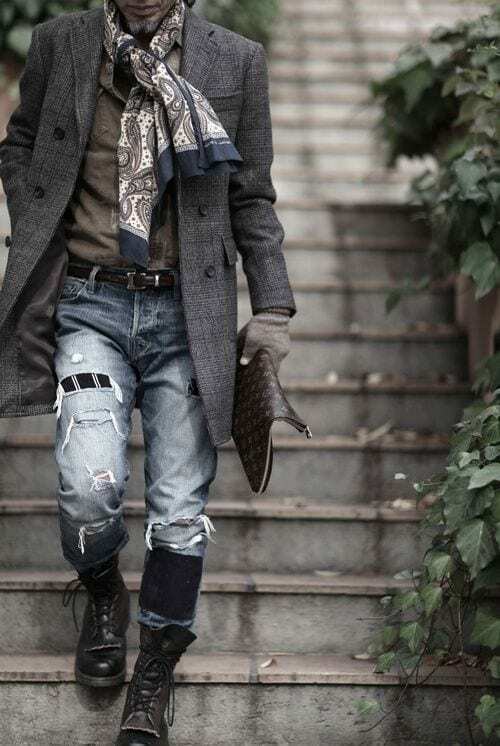 The easiest way and the safest way to pull off the bohemian look is by wearing ripped denim. Compliment your look with a long coat and a printed scarf to add more charm look that is ideal for young boys and middle ages men as well. 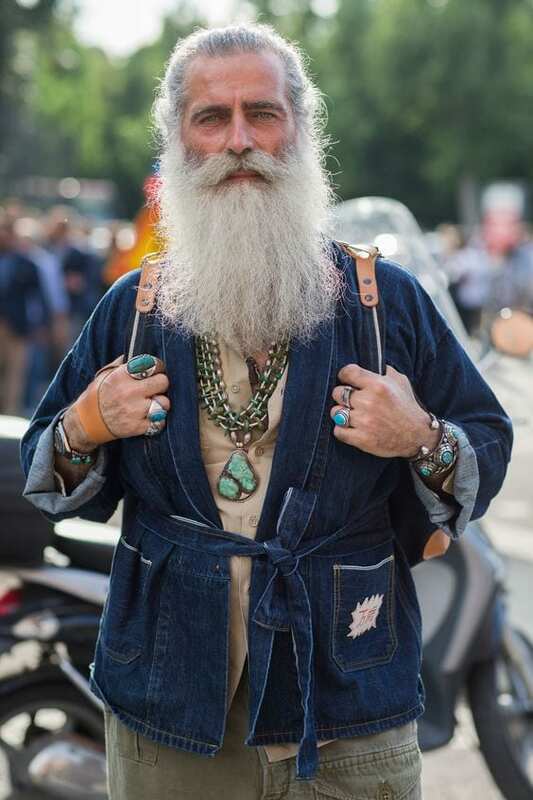 Bohemian style is not only for young and middle aged men, this style is also perfect for old age. 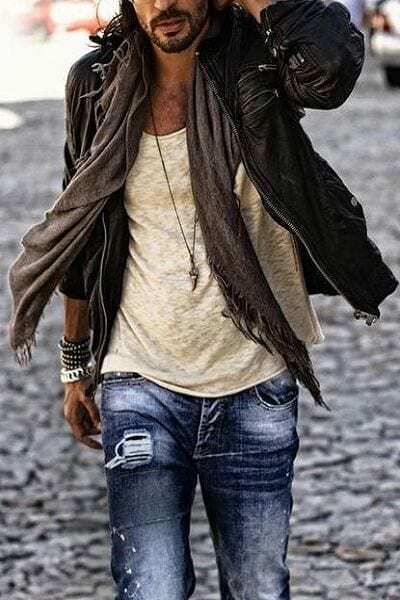 Try to wear a denim jacket with plain shirt and trousers coupled with stone accessories. Folded pants is great to add charm to your personality, and plus, it will make you look smart. Fold the khaki pants and wear a contrasting colored button down shirt with lots of hand accessories and a hat. Go fancy with a different textured shirt to get casual bohemian look. If you are tired with crazy color, opt for the stylish basic colors; a ripped denim, white vest, gray scarf and black jacket. 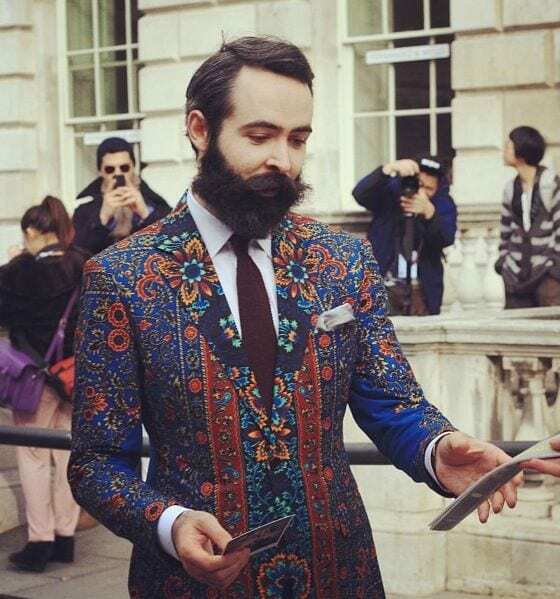 Make a fusion between the bohemian style and some artistic style by pick on a jacket or waistcoat which is multicolored and printed, wear it over your tee shirt and pants. Wear a black skinnies with a tee shirt and leather jacket for formal bohemian look. Add a hat and compliment your look with colored scarf. Wear a printed colorful coat over your formal dress that is unique and fashionable for party outfit.